The Harmful Algae web pages are maintained by the U.S. National Office for Harmful Algal Blooms with funding from the NOAA Center for Sponsored Coastal Ocean Research. The Harmful Algal Bloom and Hypoxia Research and Control Act (HABHRCA) authorizes several components that constitute a National Program for Harmful Algal Bloom (HAB) Research. The National Program for Harmful Algal Bloom Research is currently implemented through two competitive extramural research programs of NOAA's Center for Sponsored Coastal Ocean Research (CSCOR), the Ecology and Oceanography of Harmful Algal Blooms (ECOHAB) and the Monitoring and Event Response for Harmful Algal Blooms (MERHAB). CSCOR has established the U. S. National Office for Harmful Algal Blooms to provide critical coordination and technical support capabilities that enhance the Nation's ability to respond to and manage the growing threat posed by HABs. It also provides liaison with the scientific community and related programs nationally and internationally. IMET is a joint University System of Maryland research institute capitalizing on the strengths of the University of Maryland Center for Environmental Science, the University of Maryland Baltimore County and the University of Maryland Baltimore. IMET utilizes the research, training and technology transfer capabilities of these partner institutes to further its mission. IMET builds on the assets and capabilities of the former Center of Marine Biotechnology. 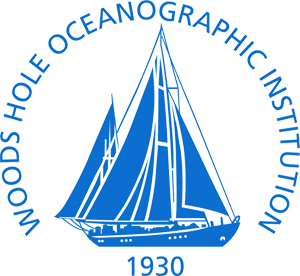 The Woods Hole Oceanographic Institution (WHOI) is dedicated to research and education to advance understanding of the ocean and its interaction with the Earth system, and to communicating this understanding for the benefit of society. WHOI provides key support to the U.S. National Office for Harmful Algal Blooms, which has become a critical element of the national HAB program. A diverse range of activities is conducted in support of the scientific and medical communities, resource managers, federal officials, students and the general public, and the media. Plan your trip to Baltimore with help from VisitBaltimore. VisitBaltimore is the best place to find out about local events and hot spots, as well as discounts on a variety of things.